Aquaria (W) CRUSH 2" ORNAMENT - Rick's Pet Stores Inc.
Embark on a fun-filled family adventure and bring the magical world of Disney into your home with this vibrantly coloured and playful Crush ornament. 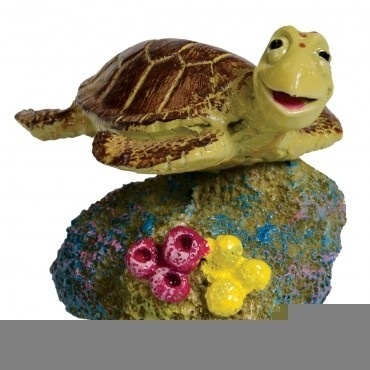 From the acclaimed "Finding Nemo" animated feature, this hand-painted sculpture can be used to decorate your aquarium or your home. 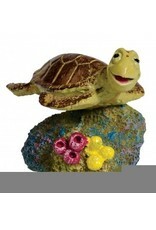 Part of an entire series, this durable figure will make an excellent addition to any fun-filled aquarium environment. Let your children experience the magic of an underwater world with one of their favorite animated characters. Safe for freshwater or saltwater aquariums. Collect them all!3" x 2.25" x 2.5"